Knopfler at least left the pub with the seed of an idea. Returning home to the Deptford council flat he shared with his younger brother David and Illsley, he set about writing a song for the new band they’d just formed. Even Knopfler thought it lacked spark. But the song took on a smouldering blues groove after he scrabbled enough money together to buy a 1961 Stratocaster. Sultans Of Swing sees Knopfler folding the night’s events into the narrative. As the rain beats down outside, the band are blowin’ Dixieland. Harry’s got a day job, but he’s up there giving it his all. So is Guitar George, who knows all the chords: ‘But it’s strictly rhythm/He doesn’t want to make it cry or sing/If any old guitar is all he can afford/When he gets up under the lights to play his thing.’ Meanwhile, a small group of youths are fooling around in the corner, ‘drunk and dressed in their best brown baggies and their platform soles/They don’t give a damn about any trumpet-playing band/It ain’t what they call rock and roll.’ It’s as damp an evocation of thankless 70s publand as you’re likely to hear. Now that Sultans Of Swing was on constant rotation, record companies started to take note of this rumbling blues- rock tune about a rotten jazz band. 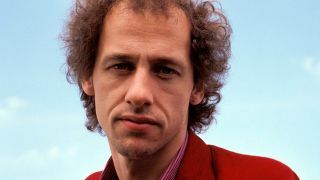 Within two months Dire Straits had been signed by Phonogram. They were then put into Basing Street Studios to record their debut album, under the auspices of producer Muff Winwood and engineer Rhett Davies. But, as Illsley explains, “the problem we had was that we couldn’t get Sultans Of Swing to sound as good as the demo. There was even a time when the demo was being considered as the one that was going to go out as a single.” Eventually, though, they re-recorded it to everyone’s approval. By early ’79, the single had gone Top 10 on both sides of the Atlantic, as had the album, whose unfussy aesthetic and timeless songcraft, allied to a frontman who sounded like the stop-off point between JJ Cale and Bob Dylan, led to sales of more than seven million. Suddenly Knopfler was being toasted as the greatest home-grown guitarist since Eric Clapton. And even Dylan came calling, enlisting Knopfler and Dire Straits drummer Pick Withers to play on Slow Train Coming. Dire Straits, of course, went on to become one of the most successful British bands of the 80s. By the time they hung up their guitar straps in 1992, they’d racked up sales of more than 120 million and littered their mantelpiece with Grammys and Brits.